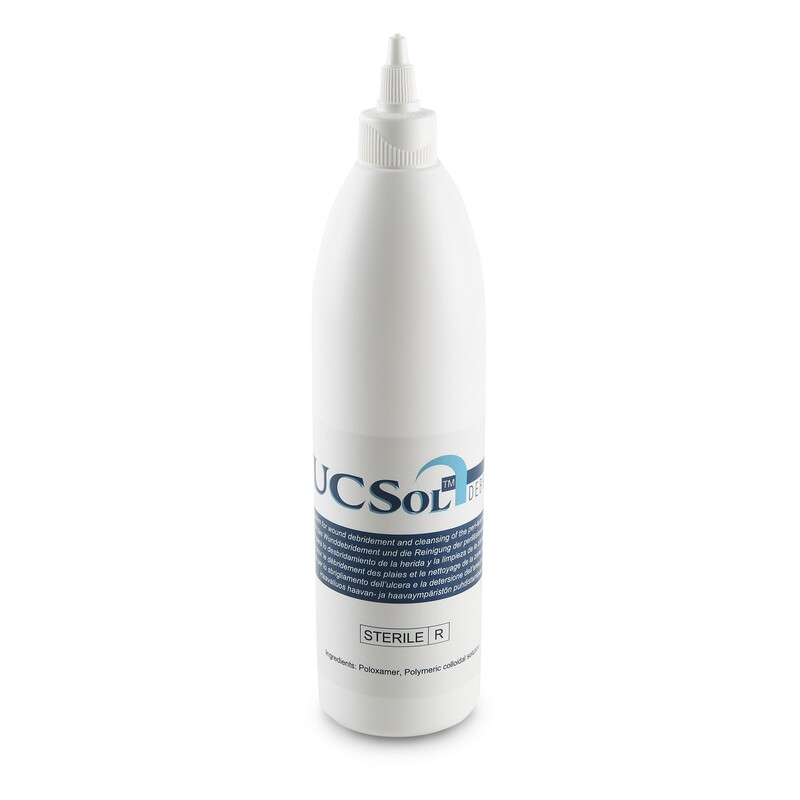 Solution for the debridement of the wound bed and the wound edges, the cleaning and the hydration of the perilesional area and the entire limb. 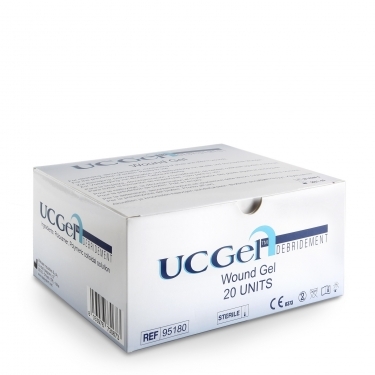 Debridement of the wound bed and wound edges, cleansing and hydrating the perilesional area and the entire limb. Recommended for the treatment of venous, arterial, mixed, diabetic, decubitus (I - IV stage), burns, fistulas, abscesses and removal of residues from previous dressings. 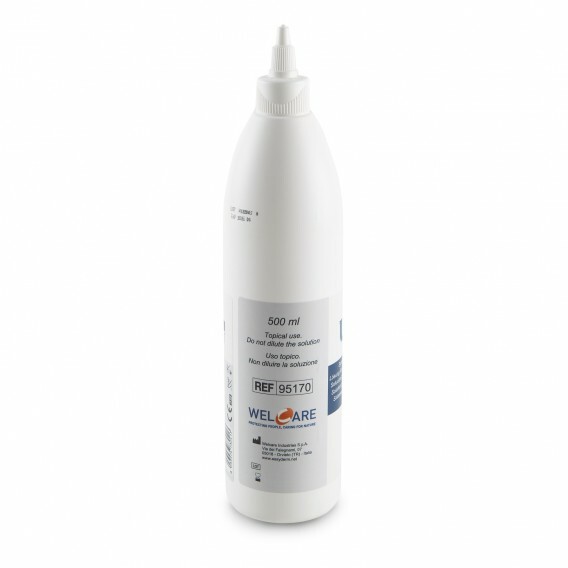 The Poloxamer based solution, an isotonic surfactant, non-cytotoxic, disintegrates necrotic tissue, slough, fibrin, biofilm. 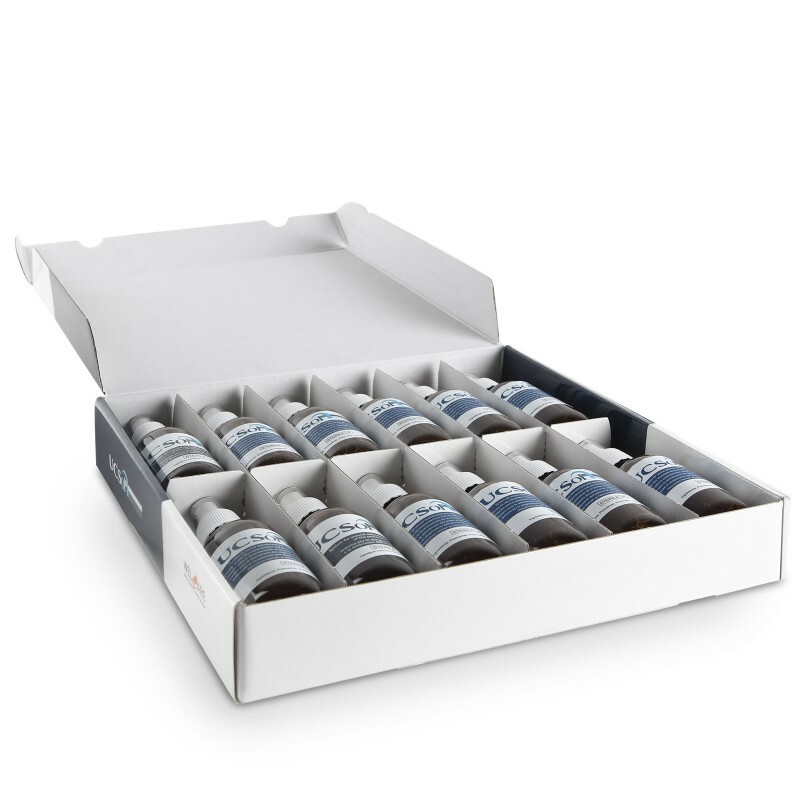 The solution can be used directly on the wound or associated with a sterile dry gauze. 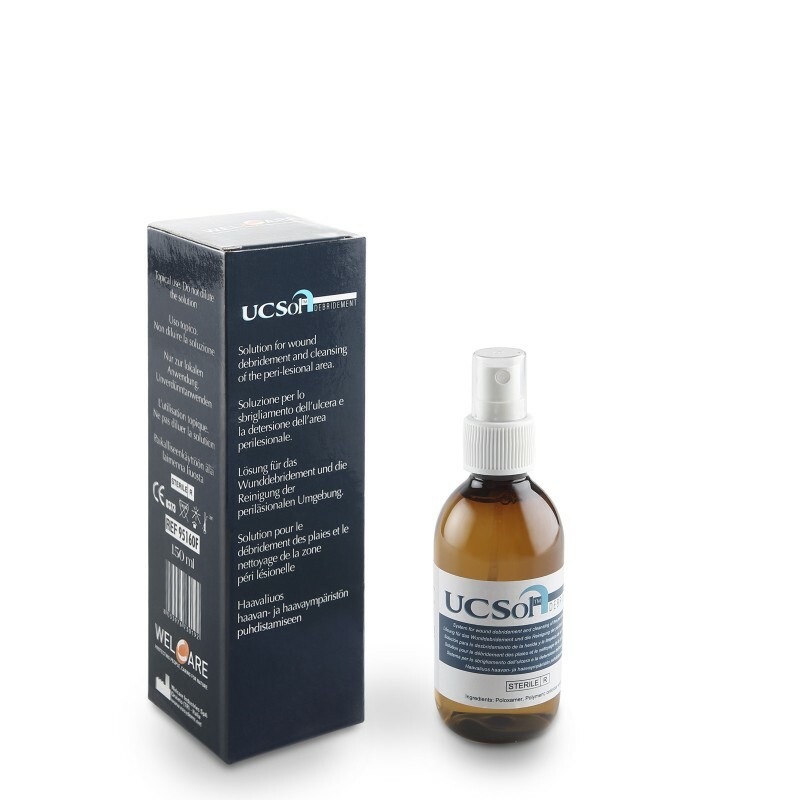 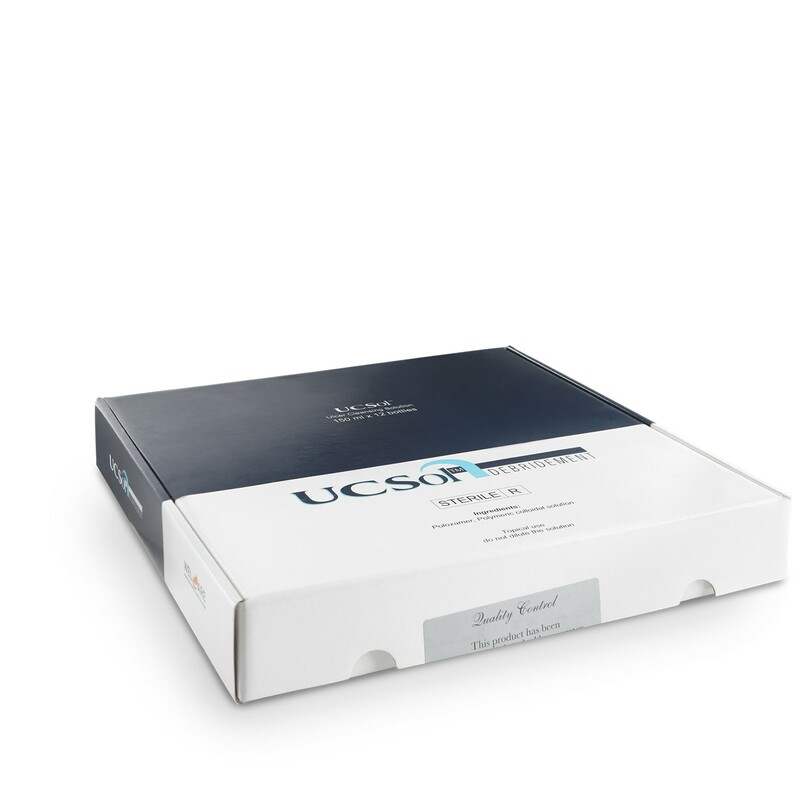 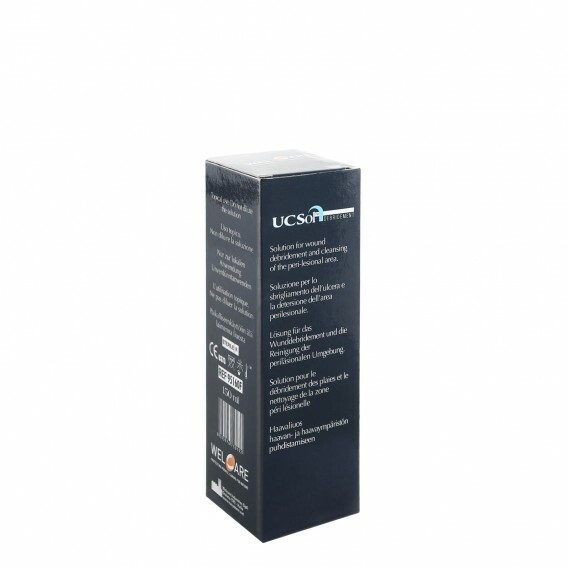 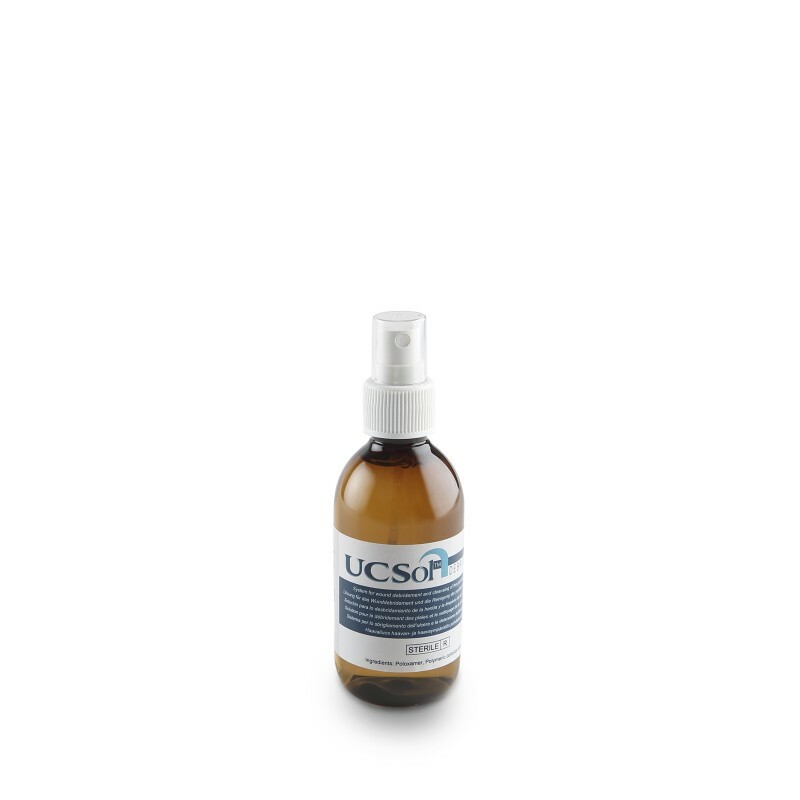 UCSol™ Debridement is easy and quick to use, reduces pain and procedural time by favoring a patient's compliance to the therapeutic process.